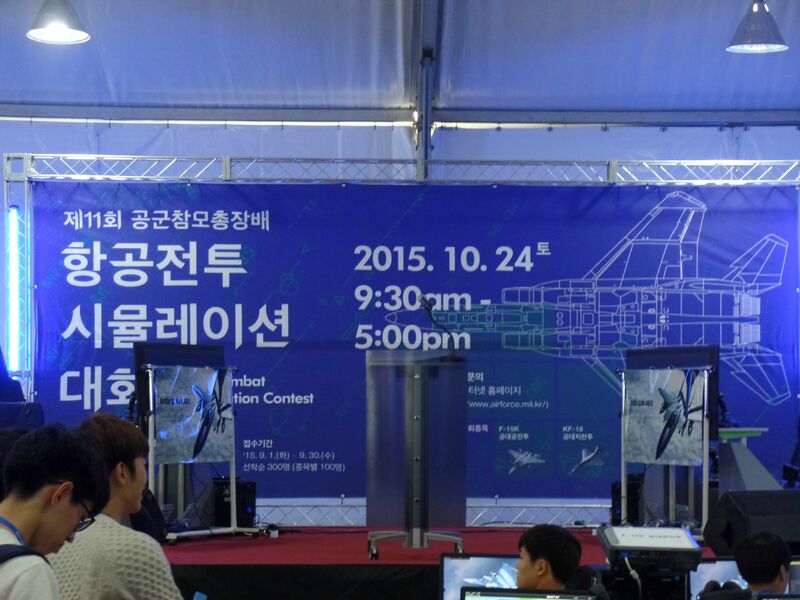 11th ROKAF Air Combat Simulation Contest was held in Oct 24 2015 at Seoul ADEX 2015 in Seoul Airport. This contest have 3 kinds of competition. 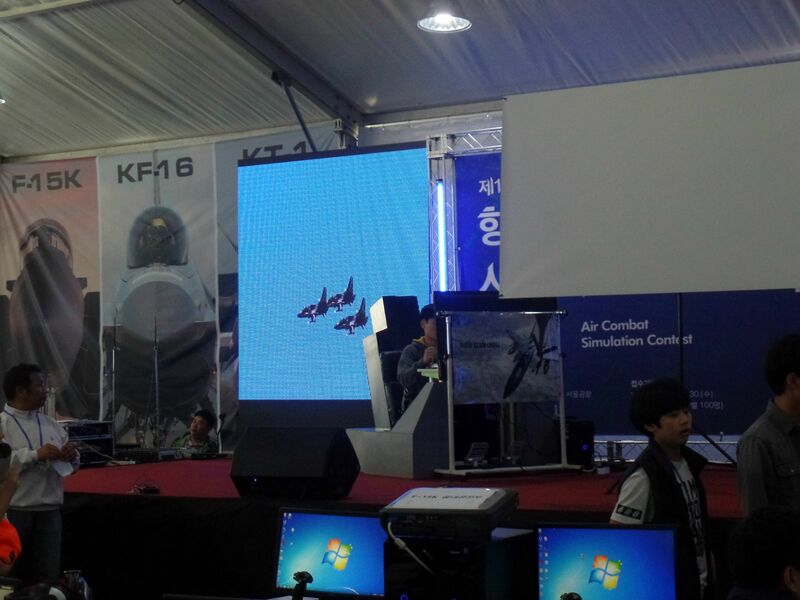 F-15K 1vs1 dogfight with Digital Combat Simulation Flaming Cliffs 2, KF-16 air to ground attack with Falcon Benchmark Simulation, and KT-1 air racing with Flight Simulatior X. 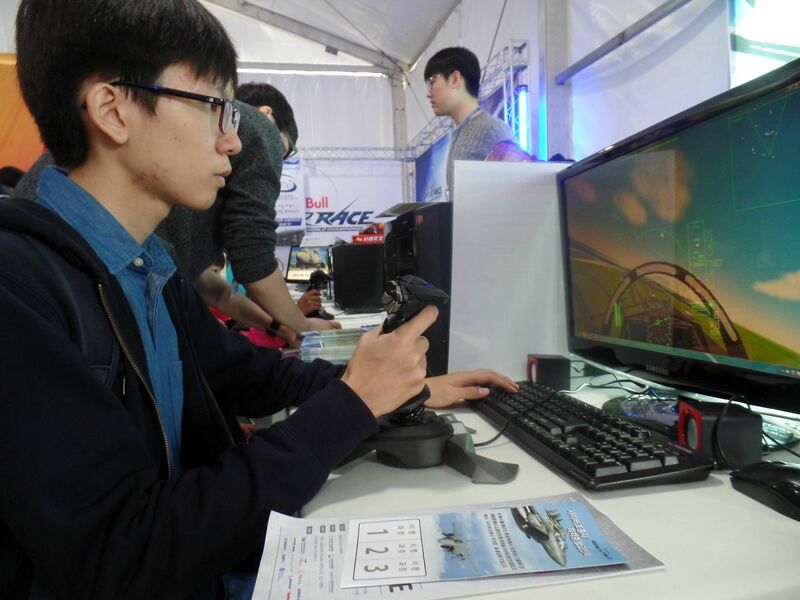 And also we have experience area by air simulator clubs which is with FSX, Falcon BMS, and the YSFLIGHT. 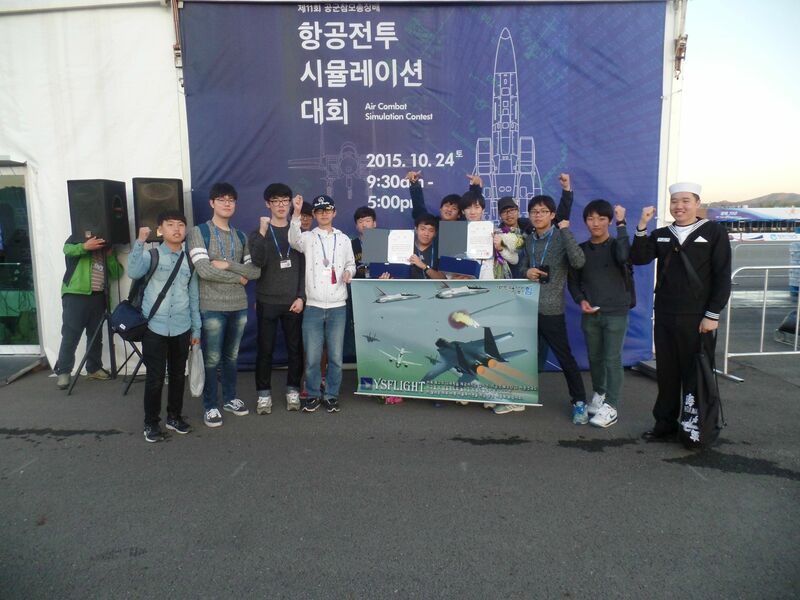 From 2011, YSFLIGHT Korea regularly join promotion in every contest every 2 years. Again we were on real life promotion this year. 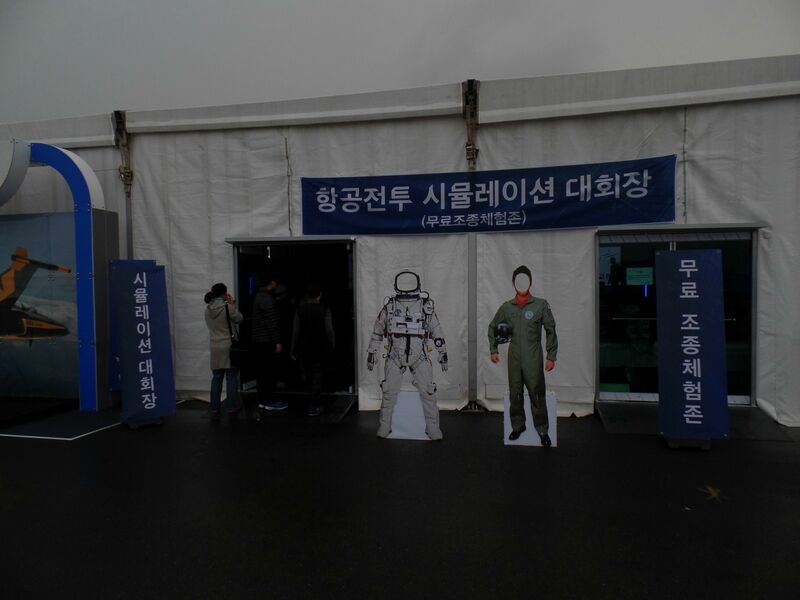 This contest is world only and the biggest air simulator festival in the world by Republic of Korea Air Force. As this year it is 11th opening. 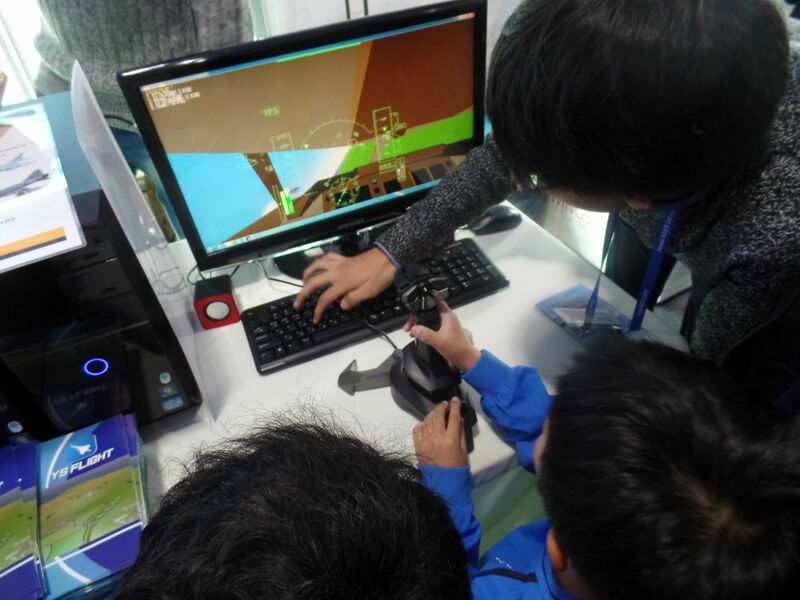 For 9 hours we made time to play YSFLIGHT for hundreds of visitors especially kids. 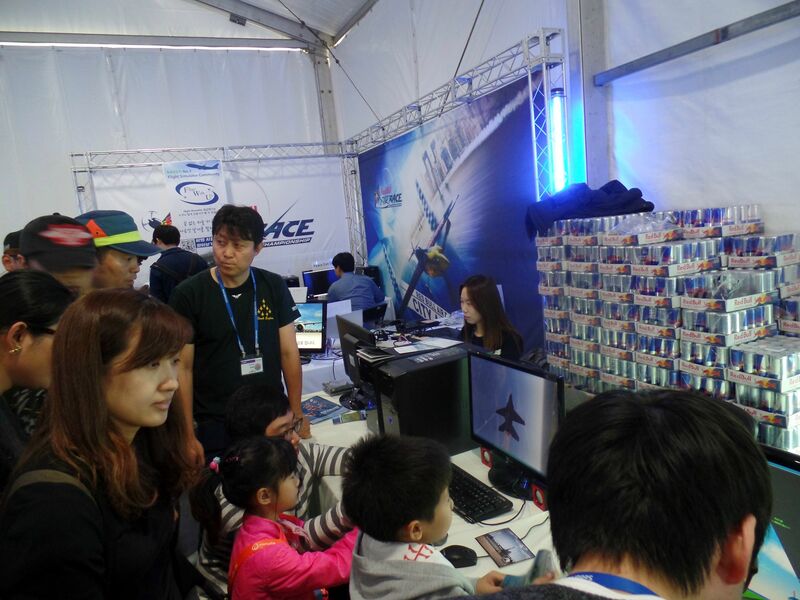 10 people of YSFLIGHT Korea worked at this promotion on behalf of full YSFLIGHT community in the world. I want to say thanks for all of them. 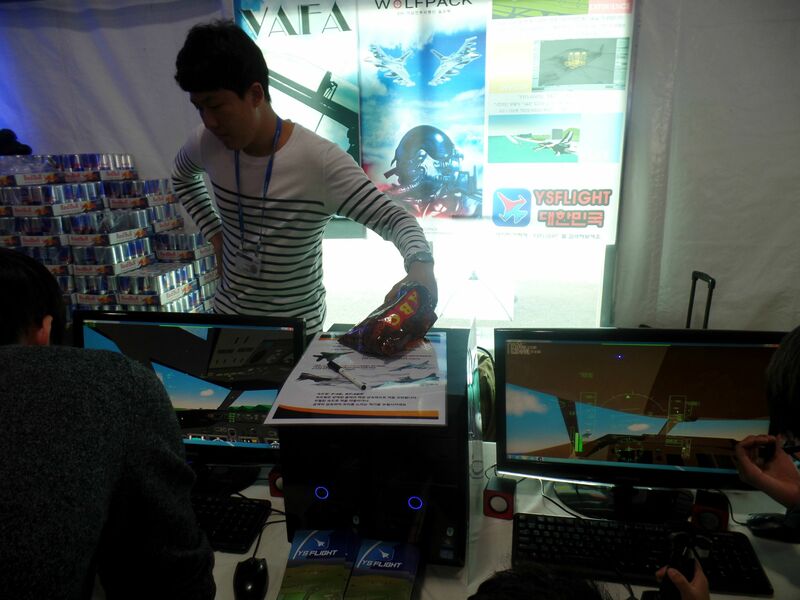 Plus, YS Black Eagles promotion video played in big commerce display from beginning to closing of contest. 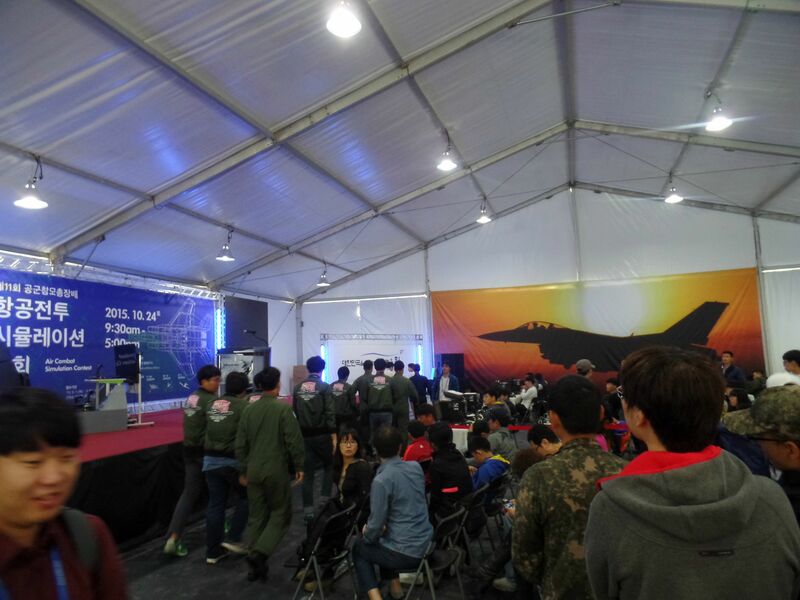 Ceremony shot of full people of YSFLIGHT Korea at Seoul ADEX 2015. 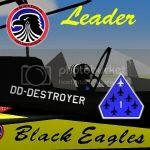 Two of us are awarded at F-15K 1vs1 dogfight and KF-16 air to ground attack. See you us at Seoul ADEX 2017!! Please be wait. Last edited by DD-Destroyer on Fri Sep 21, 2018 12:30 am, edited 2 times in total. Wow. That's amazing. Good going to you all. Also, that is an impressive collection of Red Bull. 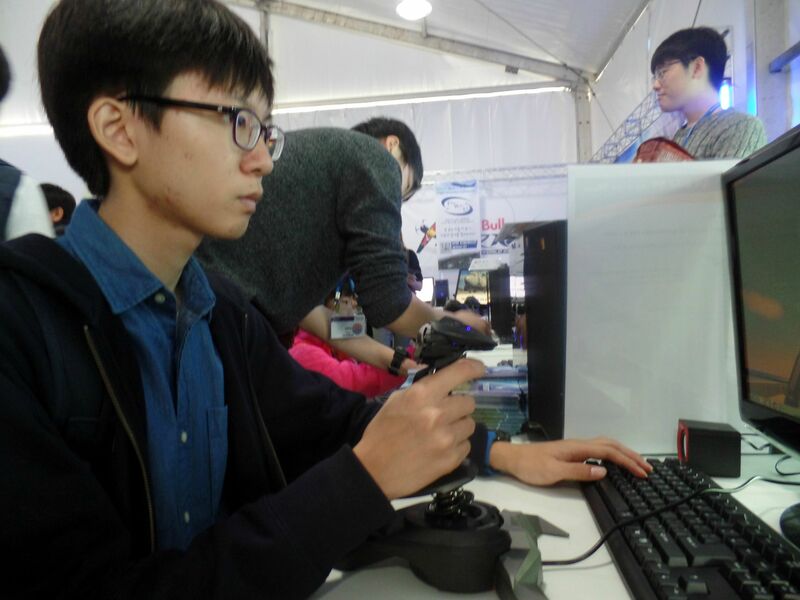 Did You send at least 1 RedBull to Soji?